Would you like to have fun with different kinds of critters, join the Camera Critters. 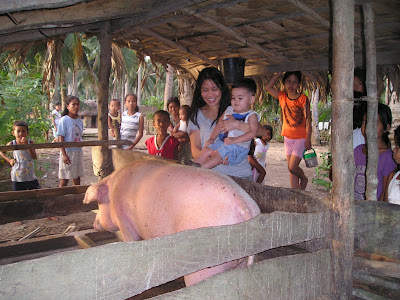 Our two kiddoes had a blast watching the pigs and chickens at our place when we were in the Philippines. Before our visit, we showed them the pictures that my husband took of me and my brother when I was bathing my mother's pig. So Rylie immediately told us that she wants to bath a pic g too but unfortunately mama don't have any when we came home. 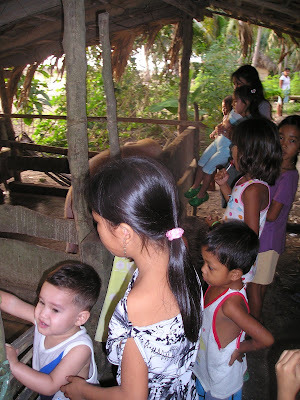 So I brought them to our neighbor's piggery and they really had fun watching them.